The Fantasy Hatching Egg is an exciting product from Keycraft. 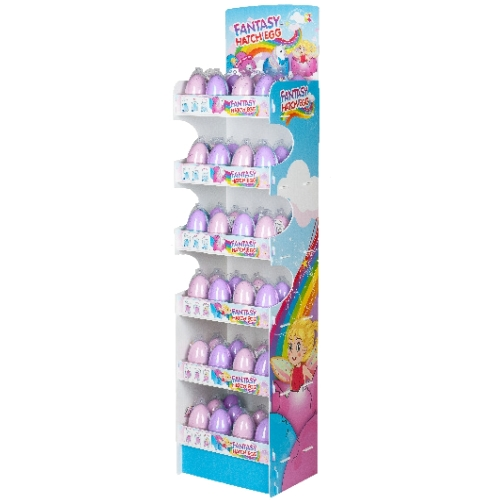 Every pack comes with an assortment of pink and blue hatching eggs, and each egg contains either a fairy or a unicorn! Buy 144 eggs to receive our brand NEW complementary display stand Free of Charge! View the Fantasy Hatching Eggs..
Watch a review on YouTube!